Home » Events » D23 Expo Features Michael Giacchino, Auli’i Cravalho, and Dove Cameron! D23 Expo Features Michael Giacchino, Auli’i Cravalho, and Dove Cameron! Written by: JediJondee46 on May 23, 2017. D23 Expo comes around every two years and will open at the Anaheim Convention Center on July 14th to 16th with special guests! They will be signing albums at the Disney Music Emporium shop including Michael Giacchino, composer for Rogue One (2016), Doctor Strange (2016), Zootopia (2016), Inside Out (2015), and my favorite Tomorrowland (2015). 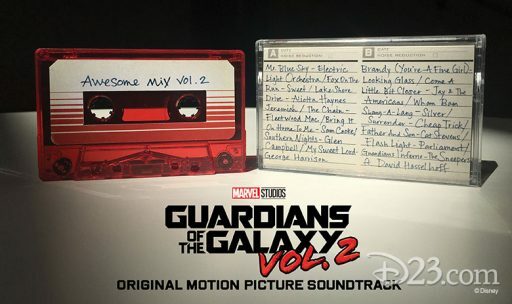 There will also be Tyler Bates, composer of this year’s Guardians of the Galaxy Vol. 2 and Guardians of the Galaxy (2014). Auli’i Cravalho, the voice of Moana, will also be there (hopefully with Pu’a). The stars of Descendants 2 which will air on July 21st; Dove Cameron who plays Mal, daughter of Maleficient, and Sofia Carson, the daughter of The Evil Queen, Evie. Singer Jordan Fisher is also appearing. He is one of the featured singers in the “Happily Ever After” fireworks show at Magic Kingdom, has a recording of “You’re Welcome” on the Moana soundtrack, and appeared in the Teen Beach movies. Country band, Temecula Road, are also appearing. They have the song, “What If I Kissed You.” The Disney Music Emporium will feature music products for sale that will have wristband for album signings. Visual Development artist for Walt Disney Animation Studios, Lorelay Bove, will also be there. Available for the first time will be Walt Disney Records The Legacy Collection Robin Hood two-disc set. The Robin Hood Collection features the songs and score from the film on Disc 1, plus previously unreleased demos, and bonus tracks performed by Louis Prima on Disc 2. Also included are extensive liner notes by Disney historian and writer Paula Sigman-Lowery. The CD cover and 20-page booklet feature newly created artwork inspired by Robin Hood from Lorelay Bove, a visual development artist at Walt Disney Animation Studios (Tangled, Winnie the Pooh, Wreck-It Ralph). A limited quantity of lithographs featuring the back cover artwork designed by Bove will be a gift with purchase.